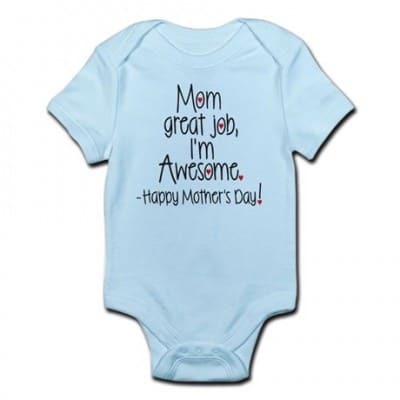 Dads, it’s up to you to do the diaper-changing and baby-dressing on Mother’s Day! 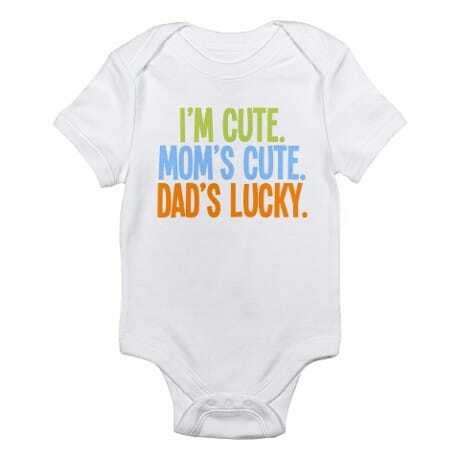 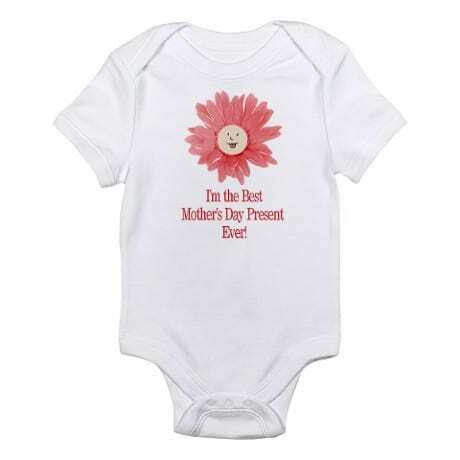 Dress the baby in cute First Mother’s Day baby clothes that are sure to bring a smile to Mommy’s face. 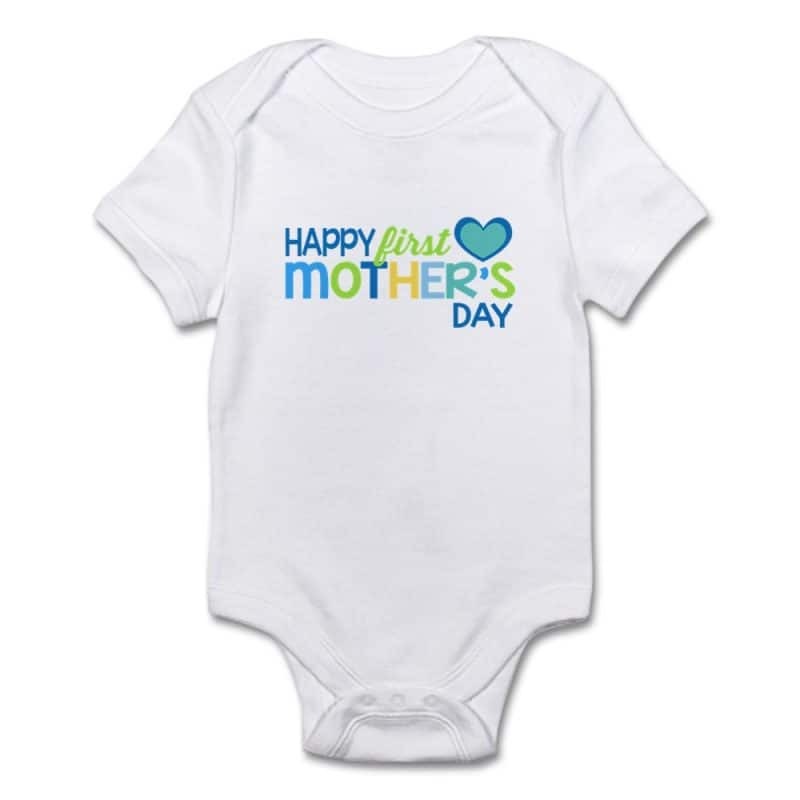 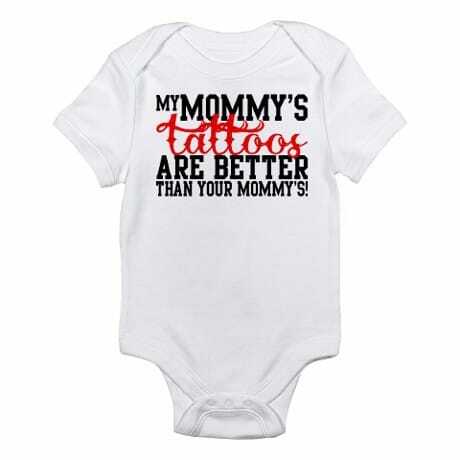 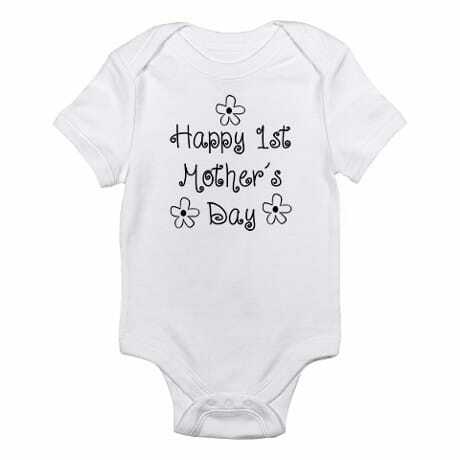 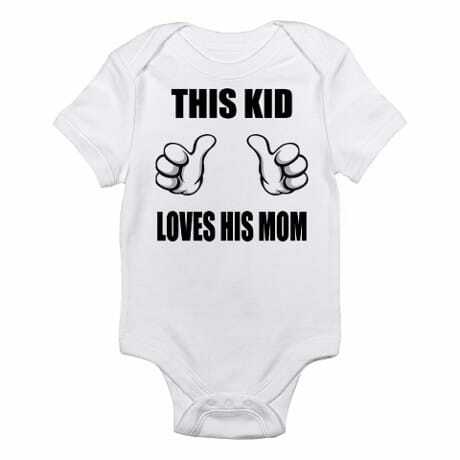 I’ve shown each of these first Mother’s Day baby outfits as onesies, but they’re all available in several different styles, including t-shirts, baby gowns, bibs, and long-sleeve bodysuits. 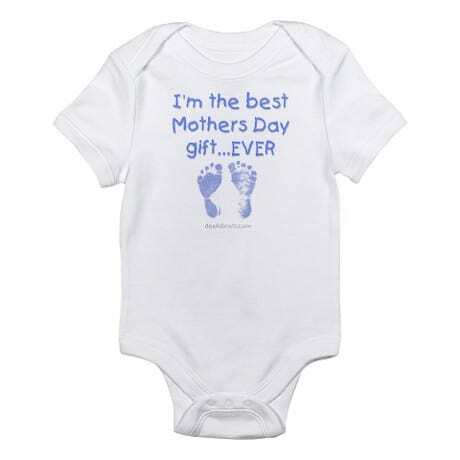 You can also choose from green, pink, blue or white for most of the outfits. 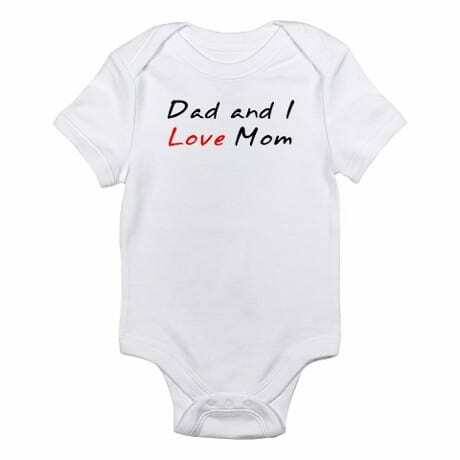 Just click on your favorite design to find all the details.